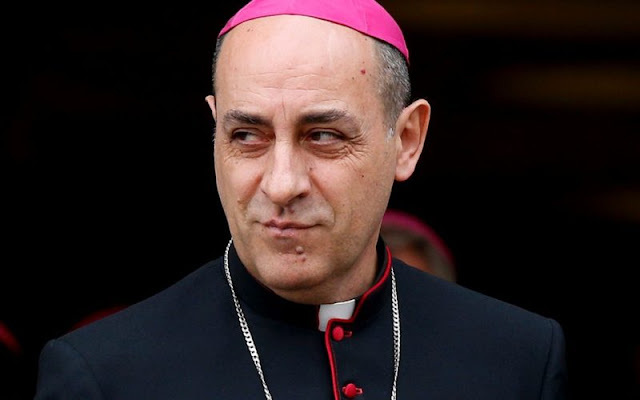 I recommend to readers an excellent contribution to The Guild of Blessed Titus Brandsma blog by Nicholas Bellord, in which Archbishop Victor Fernandez's morality acrobaticsare made available for all to read. Well done, Nicholas. Today would have been the birthday of Richard Collins. May he rest in peace. Remember him and his family in your prayers, pray for the Guild and for all who write as bloggers and Catholic journalists at this time when the truth is being eclipsed by men who should really know better. They seem so intelligent, many of these figures in the Church, do they wilfully not notice such gaping holes in their arguments? ... if the Saints Had Been Enlightened by Amoris Laetitia. 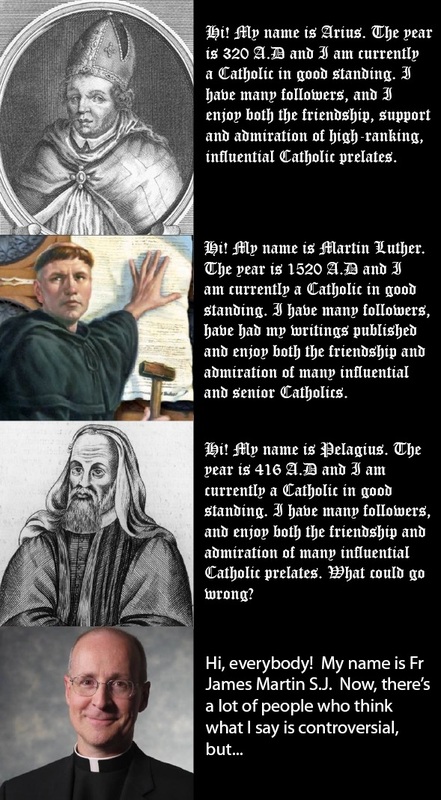 The Catholic Faith actually strengthened by the heretics. On the Side of the Angels, aka Paul Priest came up with this good idea for a song to the tune of 'In the Navy' by the Village People. Flaming Jesuits! Why can't faithful Catholics infiltrate the Jesuits as well as Communists have done? Enjoy! Well, its the silly season so I thought I'd slip another song in, and just thought, 'I know I should give the poor guy a break and he has apologised, but what the hey, I think I'll just put it out there anyway.' Neglecting the better instincts of prudence and conscience, I've decided to run with the song, 'Anthony and Ivereigh'. And here at The Crushed Bones, I don't have an editor to tell me off and instruct me on editorial policy or make me think again. My falsetto is pretty terrible. My only hope is that it adds some comic value to this song and it is still listenable. Poor Austen. Credit to him for apologising though. 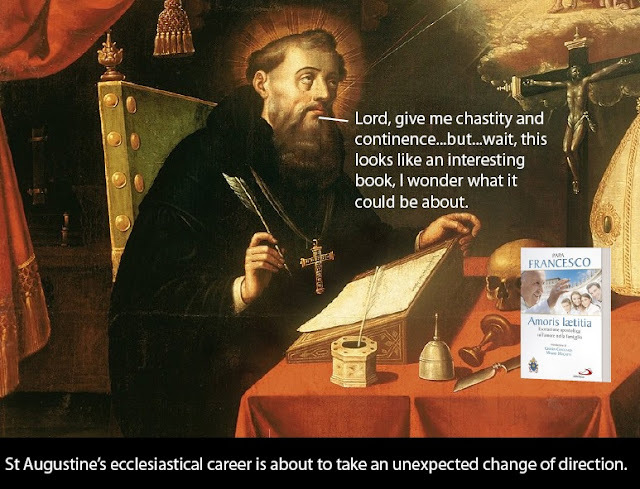 When's Fr Antonio Spadaro S.J going to do the noble thing? It is the Vigil of the Solemnity of the Assumption of the Blessed Virgin Mary. To one and all, I wish a very happy Feast. Her Immaculate Heart will triumph. 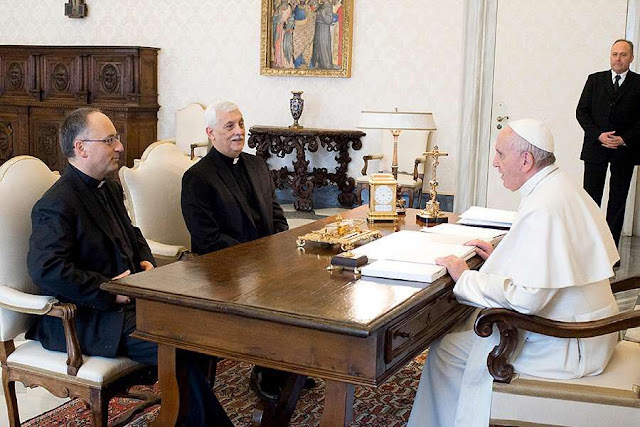 In the papal office are gathered the Pope, Fr Antonio Spadaro S.J his communications confidant and Fr Arturo Sosa Abasca S.J, head of the Jesuits worldwide. There, at a time when they are under a considerable storm of fierce criticism, with only the praise of Catholic dissidents and the admiration of secular activists for consolation, four years into the pontificate of Pope Francis, the three gather in order to make supplication for their enemies and by invocation ask for guidance for themselves and the Church. The excommunication letter should be in the post by Friday but everything's quicker on Twitter. After that, consecration of Russia to the Immaculate Heart of Mary in union with all the Bishops of the world couldn't do any harm, could it? Meanwhile, I see that Austen Ivereigh has now placed Catholic converts on the couch for psychoanalysis. Anyone out there know why Austen hates his Mother, the Church?